Having litter tracking troubles at home, or perhaps a cat that simply won’t use the cat litter box you’ve purchased? This can be an incredibly frustrating experience, especially given it is likely just as frustrating for your cat! Selecting the right litter box can be a difficult process, especially given the number of litter boxes on the market and the lack of clarity on what works and what doesn’t. Check out the quick guide to find tips on how to choose a litter box. 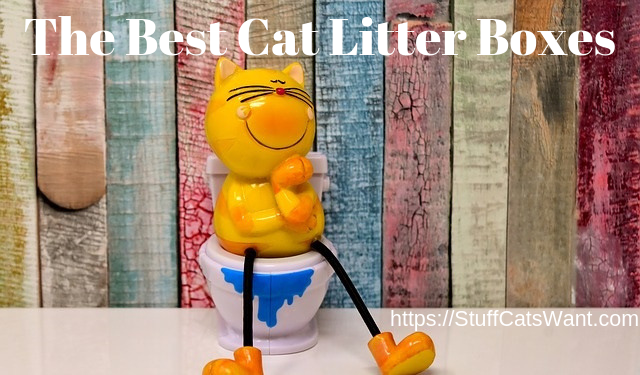 If you'd rather get right into it just check out the key highlights and choose from the best litter boxes of 2018. What Type is Best For My Cat? Why Isn't My Cat Using It? Why Is My Cat Sleeping In It? The Catit Jumbo covered litter box allows your cat or cats plenty of space to take care of their business. Seriously, it is quite large, 3 cats could probably fit inside it at the same time if they wanted. A single cat will not be crowded even a bit and will get the privacy they want. But just as importantly you get the cleanliness and the scent control you want. The swinging door ensures the whole litter box is enclosed when your cat goes in so kicking and pawing doesn’t spread litter all over the darn place. On top of this you have a built in air filter on the top so any air that comes out gets at least one cleaning before it makes it to your nose, extra bonus! This litter box is super easy to put together (snaps and locks in) and very simple to clean. The large hood lifts up for easy access for cleaning, while the built-in bag anchor helps keep the bag open and frees hands for scooping. It pops open using the four clips on the side, it only takes a couple of seconds to unsnap them. If you’re lazy like I am though you can simply swing the door up and out of the way and clean it with your scoop from outside then just let the door slide back shut. Top entry litter boxes are excellent for helping control the amount of litter that gets tracked all over your house. The primary reason is that they are truly fully enclosed on all of the side walls, not much can sneak out through a swinging door or an open side. On top of this they force your cat to hop in and out of the box which shakes off a good chunk of the litter. As an added benefit, some cats simply prefer this type of environment for their pooping and peeing, it is very private which means nobody is going to bother them while they go. My cat Lexi loves to wait outside the litter box and pounce on Beast when she exits, but she doesn’t bother her while inside. So having a fully enclosed environment where Beast doesn’t see Lexi is very helpful. While scooping top entry litter boxes tend to be a little more complicated than ones with a front door, Favorite makes it easy as pie. There are 4 snaps total, two on each side, that easily pop off and let you remove the top to scoop for your cat. Just as easily it snaps right back on. It is worth noting that you can replace the plant with any kind of decor you’d like and many people do this with great success. Arts and crafts stores like Michael’s will have everything you need to remedy that particular problem! If you’re someone that would prefer to have a litter box that can be disposed of for one reason or another, the Nature’s Miracle has you covered. I found this incredibly helpful when I had to move out of my house for a few weeks due to some insurance related work and didn’t feel like moving all of my cats’ supplies with me. These fit the bill perfectly and my cats used them without any issue at all. This particular type of litter box is made from recycled paper and is 100% landfill safe and will biodegrade over time with no special chemicals etc. Even given that, it is also leak proof and your cats would have to make a very very concerted effort to shred the box in any way shape or form. The above means you’re also good to go with pretty much any litter of choice, this includes anything from your standard clay clumping all the way to your absorbent crystal options. They’ve also built in baking soda to the design to provide extra protection against odors, a nice perk given the material itself actually absorbs liquids to a large extent. Mine easily lasted the 14 days we were in a hotel, most folks indicate somewhere between 4-6 weeks before you need to pitch it and replace it, but it depends on the number of cats you have and how much they happen to drink and pee etc. If you’ve got a cat that doesn’t happen to like doing their business in a fully enclosed location, but they still love kicking cat litter all over the place, then you should definitely be focusing on a high sided litter box. High sided boxes will help minimize litter tracking compared to your more traditional litter box or litter pan, but they also give some cats the security they need to keep an eye on their surroundings while they go to the bathroom. Guess I can’t really blame them, especially if you’ve got a multi cat household. This particular model is a great help for folks that have a litter tracking issue but aren’t able to take advantage of totally covered options like a hooded or a dome litter box simply won’t because your feline friend doesn’t like them. You might wonder how it helps with the dipped opening, but more than 75% of the walled in area is much higher than a traditional box so it will heavily eliminate the bulk of the litter that would normally get kicked out of a short sided box. This is the only really traditional style litter box I specifically recommend, and I only recommend it for specific situations. It is ideal for those of you that truly have a large cat that needs extra space to use the litter box. Or perhaps you have multiple cats and you aren’t available to scoop consistently so you need a larger litter pool. This box is huge compared to others on the market and it might not look it from the picture, but the sides are actually quite high as well, almost as high as your standard high sided litter box. To give you a frame of reference, it’ll easily hold 30 pounds of standard clay clumping litter and the sides are about 10 inches tall all the way around. You might also be wondering what the ‘pockets’ are for on the edges. These are built in areas to hold all of your supplies to clean up after your kitties. A traditional scoop easily fits into one of the pockets and you can hold whatever else you might need in the other one. If you’re looking for high sides and you’ve also got your litter box kept in a specific corner then this is the best box out there for you. It was specifically engineered to fit into a corner space as opposed to your traditional rectangular box. Although pretty much any litter box can fit in a corner, access can be a little goofy. This being corner specific means that the entrance actually points right out of the corner for your cats to get into it. As the title says, it also has very high sides. While the picture may not show it well, the sides come in at 10 inches all the way around. This means that it’ll be pretty difficult for your cats to kick litter out the sides leaving the only place the entry point. If you accompany this model (and any model with a dipped entry) with a high quality litter mat (like the smiling paws litter mat) then you won’t have any problem what so ever controlling litter. One thing to note is you would need to buy a standard litter box to go inside of this enclosure. But given that the environment is quite restricted you can really only fit a traditional litter box inside of it or a high sided litter box. Be sure to measure before you purchase the litter box itself. This is really the Cadillac of places to store your litter box and let your cat do her business. It is totally secluded and on top of this it has multiple forms of cat litter control built right in. Litter domes are another rendition of your covered litter box, but they are a little bit different in design and in execution. 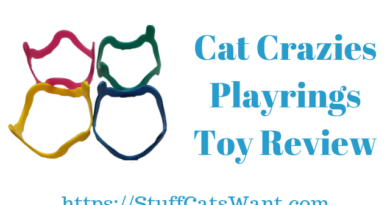 On the overall though they are very effective in providing a good enclosed space for your cat to take care of business while minimizing litter tracking. This particular model also has a built in litter capturing stairwell that helps knock litter off your cat’s feet as they exit. A few notes on differences in case you aren’t familiar. Clearly you see the dome is more circular than square, which can make liners more complicated to use. The other thing worth noting is that the front entrance is always open in domes, they don’t swing closed like most covered or hooded litter boxes. Scent control is worse because of this. The key saving grace is that the stairs on the way in are raised up over the height of the litter so they still do a solid job of controlling litter, especially compared to a traditional low sided litter box. If you’ve got an older cat or a cat that has a difficult time climbing into a traditional litter box then you’ll definitely want to consider this product from KittyGoHere. This was specifically designed with senior cats in mind and is intended to easily enable them to get in and out of the box even with their more limited mobility. The low and extra wide opening is engineered to make it far easier for your older or special needs cat to navigate entry and exit of the litter box. The entry point is a full twelve inches wide and is a mere three inches off the ground which is about half the height of a traditional entrance on your more typical litter boxes. You can also consider this for kittens who might not yet be too familiar with litter boxes. Sometimes small kittens have difficulty getting in and out of a litter box with higher sides so something like this might ease the process. Comes in two different sizes: 20" x 15" x 5" or 24" x 20" x 5"
If you're not a fan of scooping with your hand directly holding a scoop then the Roll & Clean option might be a great alternative for you. Basically the claim to fame here is that you can roll the box from side to side and it'll automatically sift the used litter out from the unused litter. The key thing you'll want to keep in mind here is that you'll need the room available to easily roll the litter box over from side to side to perform the 'scooping' motion. This may be difficult in many households, especially for those of us that keep litter boxes tucked away in corners or closets with doors slightly ajar. Simply put, stainless steel won't absorb scents and it won't provide a porous material that bacteria can seep into and grow in. This means stainless steel is far more sanitary and also a heck of a lot easier to clean and care for than other plastic litter boxes. If you've got a scent related problem or you're very careful about germs then this is the litter box for you. If you're not a fan of scooping but you also don't have room for something like the "roll and sift" technology than a traditional lift and sift option might be a good choice. The design is simple. There are two layers in the litter box. One is a sifter and one is the actual box. After your cat uses the litter box you simply pick up the inner layer, shake it back and forth, and voila, you've got all the used litter and clean litter separated. The only real drawback here is that when you use traditional litter the sifting process can kick up a cloud of litter dust which is never fun for us humans. Check out the video below to see how the technology works. This litter box measures 18" x 14 3/8" x 4"
Absolutely hate scooping and cleaning? Just want to take the bagged up product out to the garbage can once in a while? If you answered yes to both of these questions then this is the option for you. This model uses specially formulated crystals and an automatic sifting system to lock away urine and excrement until you're ready to make a trip to the garbage can. The CatGenie is a totally different approach on dealing with cat waste. It basically removes the need for litter completely and instead uses a system of washable granules that your cat will go to the bathroom in. Essentially, the CatGenie directly breaks down and flushes all of your cat's poop right down the toilet just the way we humans do. It uses a custom made solution to do so so you'll be purchasing that solution instead of cat litter on a consistent basis. There are a laundry list of different types of cat litter out there on the market. Which type you choose and the brand you select can’t easily be decided without trying them. The primary reason for this is that in general cats are likely to care more about the litter than you do. A lot of cats simply won’t use certain kinds of litter due to the feeling on their paws, the smell associated, or any of 100 other things cats notice that we don’t! That being said, here’s a quick rundown of the major types of litter out there. Clay Clumping: This is the most common type of litter on the market and it is what most people use on a day to day basis. You’ll find this available from most major brands and typically at a pretty cheap price for about a 40 pound bag of it. Clay Non Clumping: While not as common as clumping litter, it still ranks pretty highly up there in the overall types of litter available and in use. The key difference is it does a much worse job of controlling odors and making it easy to scoop for your cat. Crystals: As opposed to clumping up, crystals essentially absorb urine and control odor for a period of time. While crystals have benefits, you do have to completely replace them quite often (weekly or every two weeks) depending on the number of cats you have. This can get quite a bit more expensive than traditional litter. Paper: Paper based litter is similar to crystals in that it is focused on absorbing urine and controlling the scent. It is normally easy to see which bits have been used based on color/size, but you can end up scooping out a lot of it that you don’t mean to since it doesn’t clump. This can get pricy longer term since you can end up wasting unused litter. Pine: Pine litters in general are an alternative to clay, but based on all of the information I’ve seen to date they have similar tracking problems. If odor control is a higher priority you might consider this. The most common is to mix the new and old litters together and slowly change the ratio. You can start with say 80/20 then every 2 or 3 days adjust it another 20% until you’ve fully switched things over. The second most common option is to set down an additional litter box and put the new kind of litter in it to verify your cat(s) will use it. If they immediately make the switch without issue then you’re likely good to simply transition to that litter in your existing litter box. Every cat is different when it comes to their litter box. Some of them are far more lax when it comes to their litter box and some of them are extremely picky. Size: If you get a litter box that’s too small you're likely to run into problems with your cat using it. Always err on the side of getting a litter box that is a bit bigger as opposed to potentially to small for your cat. Covered or Not: Cats are both predator and prey in the wild. Because of this they often prefer to see around them while using their litter box. Covered boxes control litter tracking and also help minimize nasty smells, but they may also cause your cat to simply not use the litter box. Top or Side Entry: Side/front entry is definitely the traditional format for a litter box, but there are all sorts of new formats out there today. Top entry litter boxes are great for helping to control litter tracking, but they can also be very tough on older cats or arthritic cats. Be sure to take this into account when you purchase. Automatic or Not: Some cats are extremely finicky when it comes to using a litter box that is dirty. I guess I can't blame them, I hate using a dirty toilet too. That being said, if you have a cat that won't pee in a litter box that's been used once then you might need to consider an automatic litter box, especially if you work during the day. There's also the fact that some people just want nothing to do with scooping and thus choose an automatic scooping box. Shape: Before you make a purchase you'll want to consider the location you plan to place the litter box. Purchasing a litter box of the correct shape will make it far easier for you to fit it in the appropriate location without creating a hassle for your cat to use it. There are two primary shapes, standard rectangles and corner boxes. Number of Cats: See below for this question. If you have 2 cats you should have 3 litter boxes. If you have 5 cats you should have 6 litter boxes. But let's be honest, most of us probably don't want this many litter boxes in the house and many of us probably don't even have the space to scatter this many litter boxes throughout the house. If you live in the city this is even more the case. I have two cats and I only have one litter box in use right now. But when I first got my second cat we had 3 litter boxes throughout numerous areas in the house. You try numerous areas cause some cats are more prone to use a litter box in one area than another. We started to realize that they were really only using 2 of the litter boxes so we removed one of them completely. After another few months they started to center on one litter box that was tucked away in our closet. Given this we slowly phased out access to the remaining extra litter box and we've had no problems. That being said you should explore this gradually if you're introducing a new cat to your household. You don't want to just add a cat and leave your home with one litter box. This can result in all sorts of negative behavior that could result in accidents and messes throughout the house which nobody enjoys. Why Isn't My Cat Using The Litter Box? 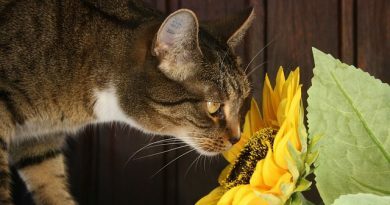 Smell / Scent: Did you try a new litter? If so, be sure to make it a gradual change by mixing the old and the new over time. Location: As referenced above, be sure to try varying locations if you're having litter box issues. Finding the right spot for your cat(s) is key. Cleanliness: Is the litter box being cleaned and scooped consistently? If not, try scooping more times a day so your kitty has a clean bathroom. There are of course other reasons that a cat might stop using a litter box, especially if they were using it consistently in the past and suddenly stopped. Check out this article for more details on the topic. If you're unable to identify a root cause talk to your veterinarian to find a resolution. Check out this article specifically on the topic for more detail and ways you can help get your cat out of the litter box. 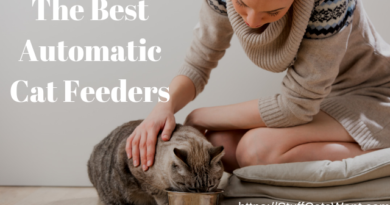 Given the wide variety of litter box types and the wide variety of models within each of those types it can be incredibly difficult to choose a litter box that will meet the needs of you and your cats. Whatever you do be sure to make any changes with the litter box gradually. If your cats are currently using one litter box and you are going to switch it be sure to make the new one available side by side with the old one for a time. This will ensure your cats can get used to the change before removing what they are used to. Big changes can often make cats very uncomfortable, they are creatures of habit after all. Which litter box do you use? Do you have a favorite or a recommendation that I didn’t include in my list ? If you have any other ideas for please leave a comment below or send me an email at Craig@StuffCatsWant.comso I can update this article. Which box do you use? Hi Craig. Thanks for the awesome review. We have 2 cats and use deep, open litters. We tried the enclosed ones but they still seems to drag out a lot of litter onto the floor from their paws. We have a carpet in front of them which helps somewhat. The stepped litter box is quite interesting, and I love the disposable one for holidays. I’ll have to try that for sure! Glad you found it helpful. Do you find the deep open boxes work well for minimizing tracking better than the enclosed hooded version? I could definitely see this if you don’t have big time kickers like my cat Beast. I have always loved cats, but I don’t like litter boxes. I’m pretty sure I’m not the only one. I do really like the idea of having a base that looks like a vase and a plant. I think it would be a good idea to have a plant that has a good scent, though. For instance, maybe a basil or mint plant. Of course, it would need to be close to a window so it can grow. I had this idea of making my own hidden cat litter box years ago. I was going to turn an old bookcase shelf into a hidden compartment for a little box. However, I do have a question. Will the cat actually go to the bathroom in there, though? He/she might think there isn’t a litter box in the house and go on the floor? Haha, well, I think we all set some goals or have some ideas we don’t necessarily follow through on. No worries, still plenty of time to do it if you want to! Just to clarify, the litter box wouldn’t support a real live plant, it would only support fake plants. Yes, cats use it just fine. If you have a cat that doesn’t like enclosed litter boxes in general though it probably wouldn’t be a wise choice. Hi, Craig. I have a senior cat and it’s now that I have realized why it always skips using its litter box. It must be that it has become too cumbersome to get onto it. I will get the Kitty go here litterbox and see how it goes. Thank you for sharing. Definitely let me know if it helps! We’ve had great success with this kind of litter box with the older cats or the special needs cats at the shelter I volunteer at. I have been using the Disposable Litter Box for my cat but it turned out to be a bit expensive on the long run compared to other types you mentioned. Yeah, I personally feel like disposables should only be used for shorter time periods when you need to use them, but they can also be a convenience factor if you drop them inside of another litter box. There’s certainly a bump in cost if you go this route though! Great reviews! Love that you managed to tell about all kinds of litter boxes which is great because every cat owner has a different situation to deal with. I personally liked the “Good Pet Stuff Company Hidden Cat Litter Box”. My mom doesn’t like it for the cats (we have four) to come into the living room and they somehow have taken the back porch as their favorite hangout place instead. Four of these litter boxes would be perfect to place them there. Good idea on having multiple boxes for your multiple cats too! This is definitely the best rule of thumb when you have a multi cat household! On the bright side, you can also decorate each of them differently since the foliage is interchangeable, you could have quite the faux garden on the porch! I personally like the one that looks like a potted plant, haha. My daughter has two kittens and this would be perfect for them. Great! Glad you found the article helpful. Be sure to show the kittens where the litter box is once you make it available. This will ensure they know to use it right from day one! Great litter boxes. Right now, my cat has a really large box because he used to be a fatty and it helped him move around and have space. He’s lost a considerable amount of weight since then and I may get him a smaller one to accomodate him. Any thing with a high wall because this old man sure loves to dart out of his litter box after a dump, haha. The one I have right now is similar to the Nature’s Mirace High Sided Litter box. I think smart paws cat litter box is more better than Favorite’s Large Top Entry Enclosed Hooded Cat Litter Box .its have holes on the top . the cat litter will be fill back in the box directly when cats comes out. also with little scoop and holder. more clear. Which Smart Paws Litter Box are you referring to? Can you share a link to it on Amazon or PetSmart or Petco? ?